The reverse side features a pink background with white polka dots for a more classic feel. No matter which side you choose your child is sure to love this set. 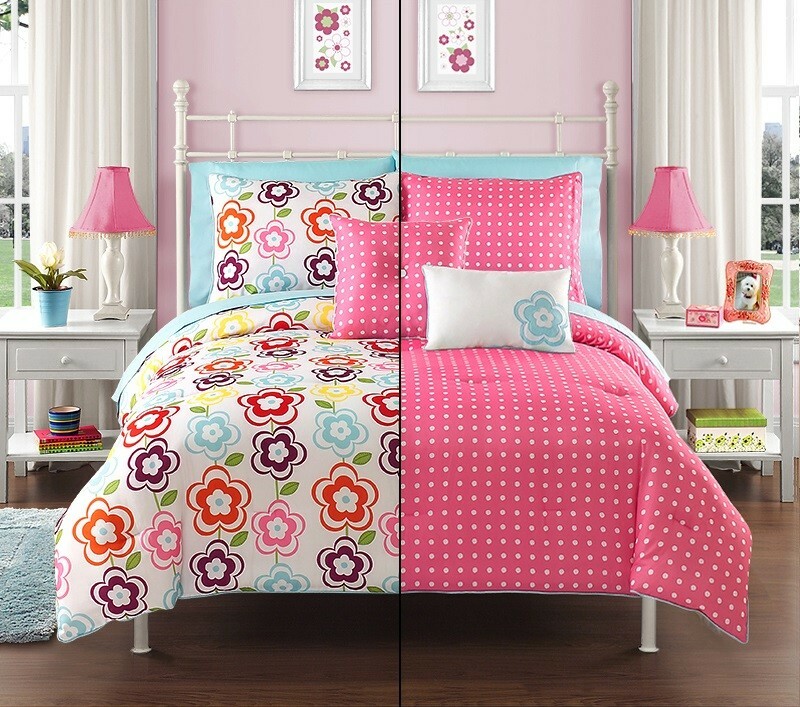 Complete an inviting bedroom with this charming bedding set.